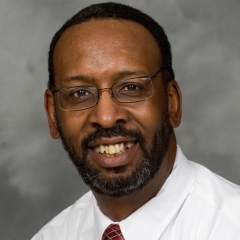 Dr. Carter currently teaches courses in marketing research, marketing strategy, and entrepreneurship at the Broad College of Business at Michigan State University. After completing his undergraduate degree in Industrial Management at Purdue University on an athletic scholarship, he went on at that institution to complete a master's and doctorate degree specializing in marketing and quantitative methods. His first teaching assignment was at Georgia Tech where he received the Marketing Science Institute's Outstanding Research Award for his work in mathematical models to predict new product success. Dr. Carter has authored numerous marketing articles and publications in the areas of marketing research and macro-marketing. Early in his career his research interests focused on data analysis models for new product development. Examples of his work are: "Assumptions Affecting the Ability to Make Causal Inferences in Marketing Applications of Path Analysis"; "? ?Decision Structuring to Reduce Management-Research Conflicts"; "Data Models and Analytical Models For Product Maps";. and "New Product Design and Management: New Findings" just to name a few. Over the last decade his interests have focused on marketing's role in economic development, especially as it relates to women and minorities. Examples in this area are: "Community Income and Expenditure Model: Linkages and Leakages among Businesses, Households, and Nonprofit Organizations in Southwest Detroit Zip Code Area 48209"; "A Test of the 'Validity' of the Developing Country Analogy for the African American Community"; "MQI: A Measure of Marketing's Impact on Quality of Life at the Macro Level"; and. "A Resource Allocation Model for Integrating Marketing into Economic Development Plans"..
Dr. Carter has been the past president of the Black Faculty Association at Michigan State University; owner of a market research firm in Detroit, and a co-researcher of a five year initiative at Michigan State University to provide an integrative development tool for 'at-risk' communities; and a three year initiative to improve the entrepreneurial skills of small health care providers within the Detroit Empowerment Zone. He has also been a consultant with numerous organizations such as Citibank, Herman Miller, Johnson and Johnson, the State of Michigan, and several small minority owned businesses across the Midwest. He has been married for 37 years to his wife Dale Ann, is the father of two daughters, and has three grandchildren. Beyond his professional activities he also works as the Business Manager and Treasurer of the Trustee Board at Bethlehem Temple Apostolic Church in Lansing. Like a boomerang, the “Dan Gilbert effect” launched from Detroit, circles East Lansing and will return to Motor City. Eli Broad’s mindset resonated with students as they deliver a real impact on issues and communities. Carter’s young students learn concepts of managing, operating, and marketing a business, just like Broad students do. Students created a marketing plan for a northern Michigan snow bike tour company.